Vocal cords which are the organs that produce sound when we talk or sing are situated inside larynx. Due to various reasons the vocal cords may get damaged or may not be working properly. Laryngoscopy is a procedure that is used to examine the throat in the case of patients suffering from throat problems such as long standing cough or who have difficulty in swallowing and breathing. There are two types of laryngoscopic procedures that are in practice now. They are direct laryngoscopy and indirect laryngoscopy. Direct laryngoscopy is a procedure used for examining the throat and its structures such as larynx and vocal cords by using a laryngoscope which is an instrument with a flexible tube on one end of which a camera is connected. 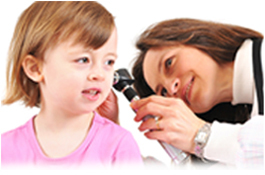 Direct laryngoscopy is appropriate for children and for people who have not responded to treatments for laryngeal symptoms. Laryngoscope is inserted to your throat through your mouth by a surgeon and the videos taken by the camera are viewed by the surgeon and the vibration of the vocal cords during rest and while speaking are examined by the surgeon. Before starting the procedure remove all your jewelry, eye glass, dentures etc. Empty your bladder before examination. You will be given a gown to be worn during the procedure. This procedure will be carried out in a surgery room when the patient is under complete sedation. When the patient is asleep a flexible laryngoscope is inserted through his mouth till it reaches his throat. As the laryngoscope advances the doctor examines the larynx, vocal cords and the epiglottis. If necessary the doctor can take small samples for biopsy purpose also. The doctor may give you sedations to keep you relaxed during the procedure. If the procedure is carried out under general anesthesia you will be asleep during the procedure and will not know what is going on. Normally this procedure will be completed within 30 minutes. 1) Do not drink or eat anything for two hours after the procedure. 2) Do not clear throat and avoid coughing for several hours after surgery. 3) Give rest for your vocal cords if they are strained during laryngoscopy. 4) Your sound will continue to be hoarse for about three weeks if any tissue has been removed during laryngoscopy.